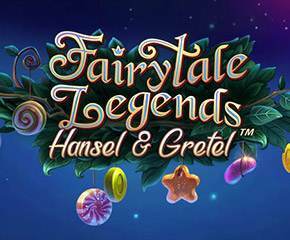 NetEnt has come up with the second slot in the fairytale legends series and it is called Fairytale Legends – Hansel and Gretel slots. Grab various offers and bonuses while helping the twins find their way out of the mystical forest. With more than 20 years of experience, NetEnt is a leader in the field of providing superior quality, cutting edge casino software to various offline and online partners. They have developed over 200 games and Fairytale Legends – Hansel and Gretel slots is their latest offering. Five reels and ten paylines, Fairytale Legends – Hansel and Gretel slots can be played from 10p to £250 per spin. The symbols on the reels are various colourful candies, Hansel and Gretel, treasure chest bonus, and the game logo. 1. Stacked Wild Respin- The stacked wild symbol will land only on reel 2 and 4 in the base game and also on reel 1 and 5 during the respin feature. Whenever a wild icon fills the reels 2 or 4, you will get a respin. 2. Random Features- During the base game, 3 features can be activated randomly. Fairy Wonder Spin is activated when a bunch of 5 to 9 game logos cover the reels for a spin randomly. Fairy Wild Spin is awarded when 2 full batches of wilds appear on all other reels except reel 3. In Fairy Surprise, you get a surprise gift after getting a losing spin. One icon from the icons displayed on the reels is chosen randomly which substitutes for all other symbols getting you a win. 3. Treasure Chest Bonus- You require three bonus symbols on reels 1, 3, and 5 to get any of the three bonus features. Candy House Bonus allows you to take 3 candies from the 15 available, each one featuring a multiplier. You can win up to 120 times your stake in this feature. You win 10 free spins in the Free Spins bonus. Landing 1, 2, or 3 bonus icons during the free spins will award 2, 4, or 10 more free spins. Coin Win gets you an instant prize 15x your stake. 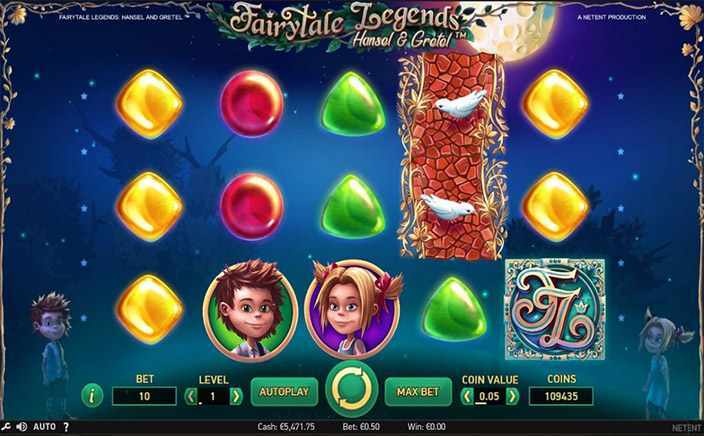 If you like the online slots that are overflowing with extra bonus rounds then Fairytale Legends – Hansel and Gretel slots is the perfect pick for you. Being a NetEnt slot, the animations and audio is excellent as usual.